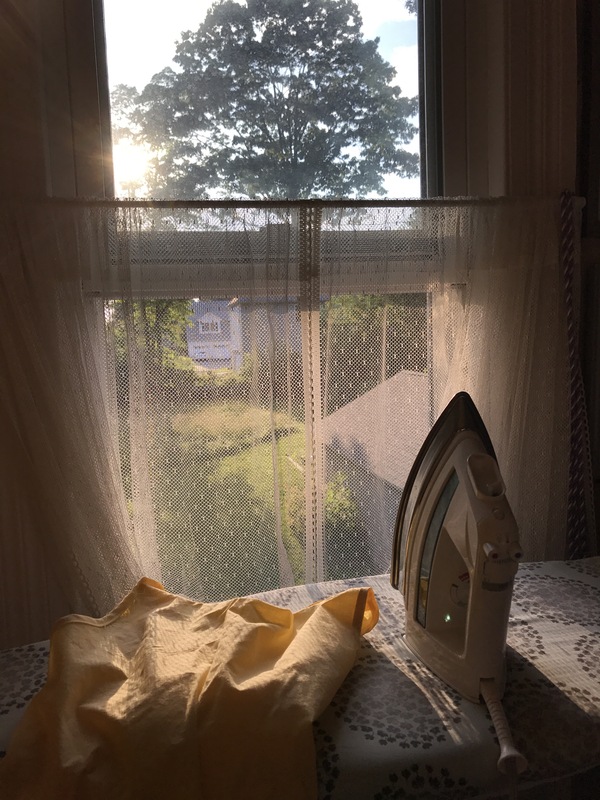 The view out of the window of my sewing room in the late afternoon. I am so lucky to have this little room of my own. Gemma Tank being finished below. June was a very busy month work-wise and I didn’t have as much time as I would like to sew but I had some projects that were almost done after Me Made May and so I used the time I could find to finish some Gemma Tanks and a Cleo Skirt. I am looking forward to mixing and matching these all summer. I made a yellow lawn tank out of Robert Kaufman Cambridge Lawn in Maize. I made the scoop necked version in a Medium and lengthened it an inch or so. I applied the bias binding using the traditional method in which you see the binding because I didn’t want the shoulders to be too narrow. I originally planned to wear it with two Cleo skirts that I made in May with beautiful navy lawn fabric. 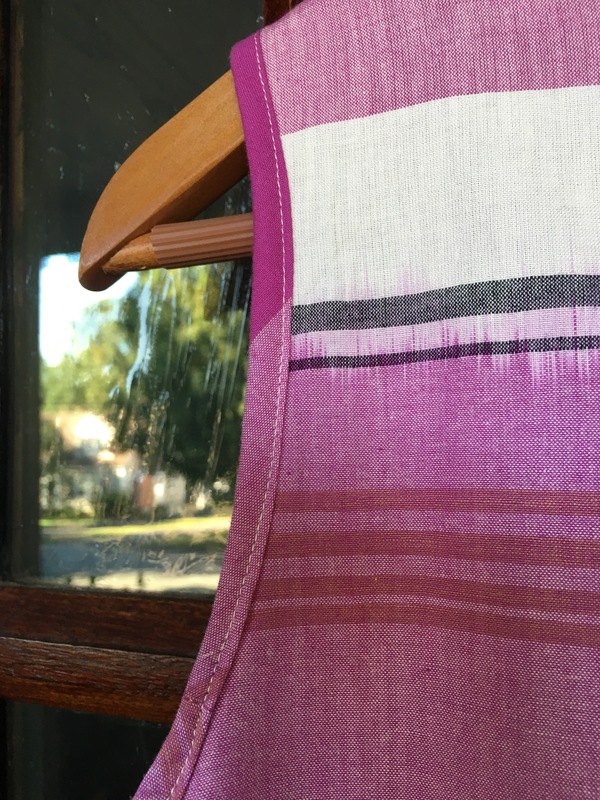 but have found that it goes just as well or better with my striped cotton-linen blend skirt. 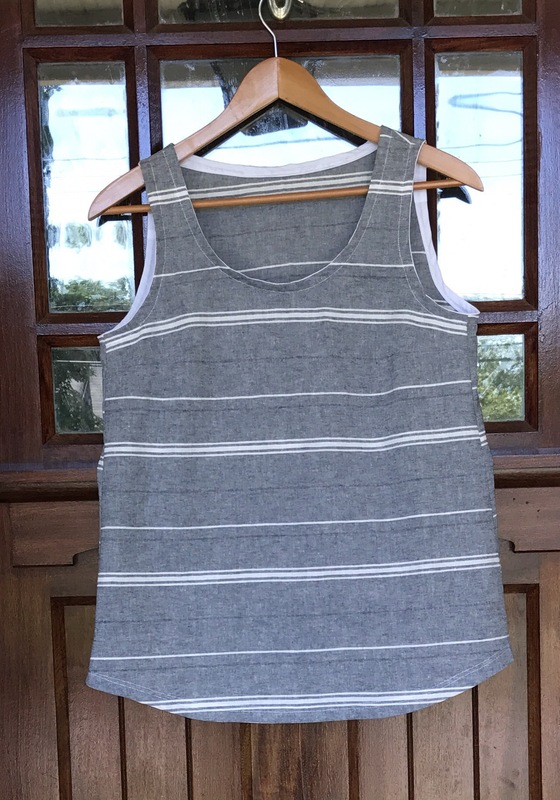 I ended up having extra of the striped fabric and made another Gemma Tank. I love it. This fabric from Joanne’s was a great purchase. I know this will get a lot of wear year-round. It is perfect with white capris and jeans. 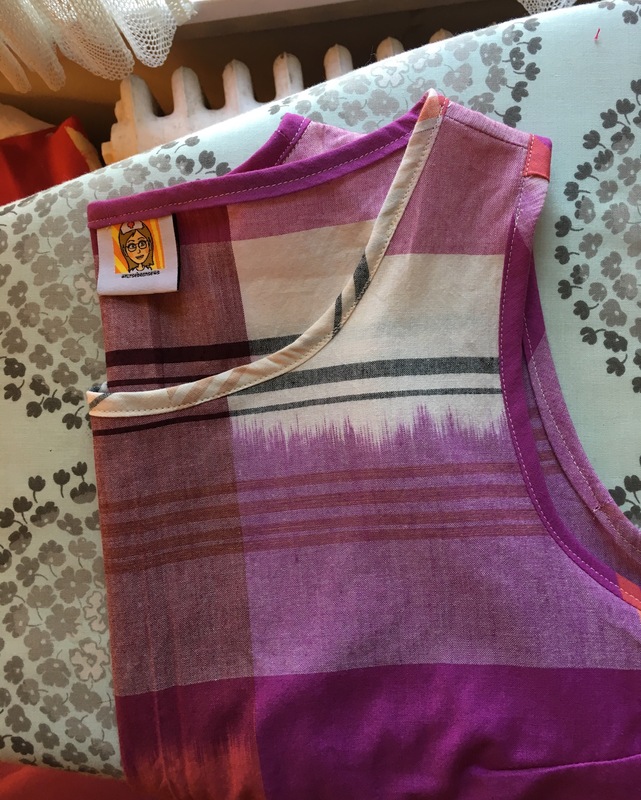 I finished a Gemma Tank in April Rhodes fabric that I started last summer. I have already worn it several times. It is perfect with jeans and a mustard cardigan. Such a great print. I also finished another Gemma-Pearl Tunic. I absolutely love this shape. I will definitely be making more of these. This is in a beautiful tea-stained print by Cotton and Steel. 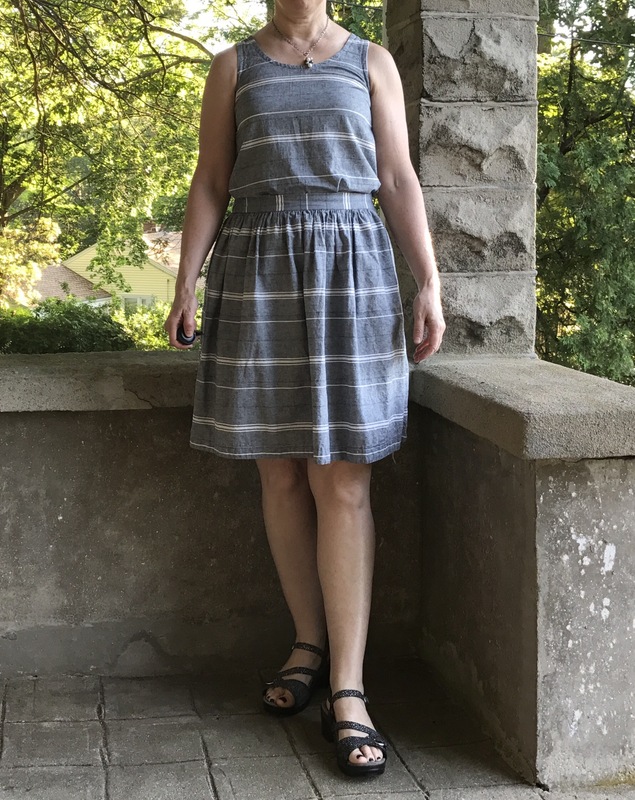 I used scraps from a much loved Washi dress for the bias binding. 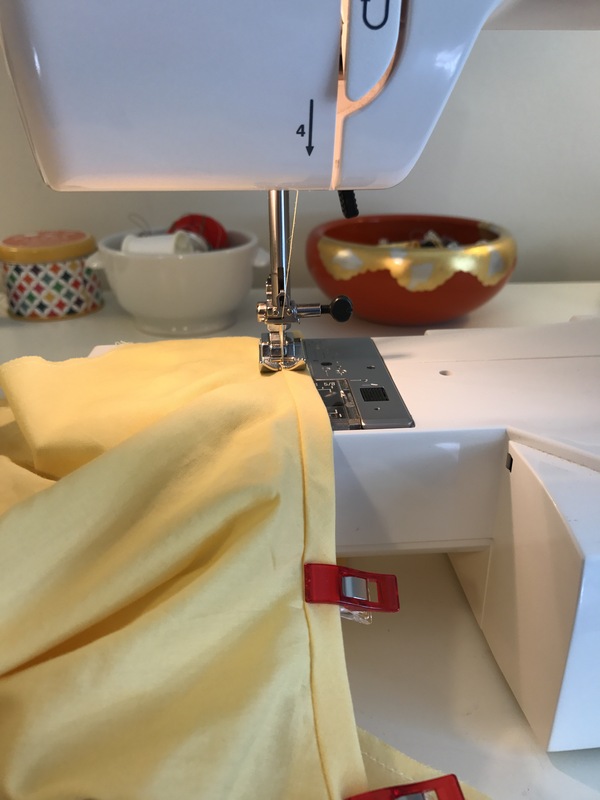 I love how easy the Cotton and Steel fabric is to work with. You don’t even need pins. Seriously. Even bias binding is a pleasure with this fabric. I rest my case. This fabric makes me feel as though I can do no wrong. Not something I can say about all fabrics! 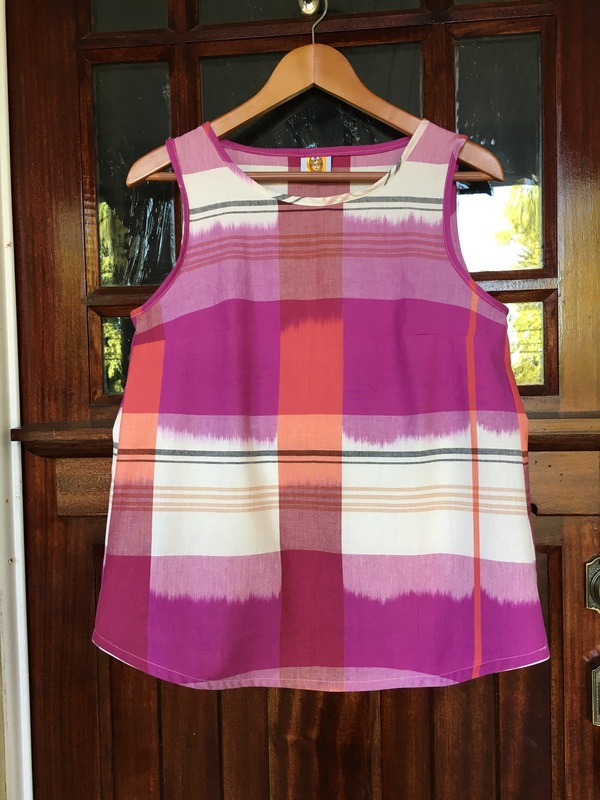 For a tutorial on how to make this tunic, check out this post. 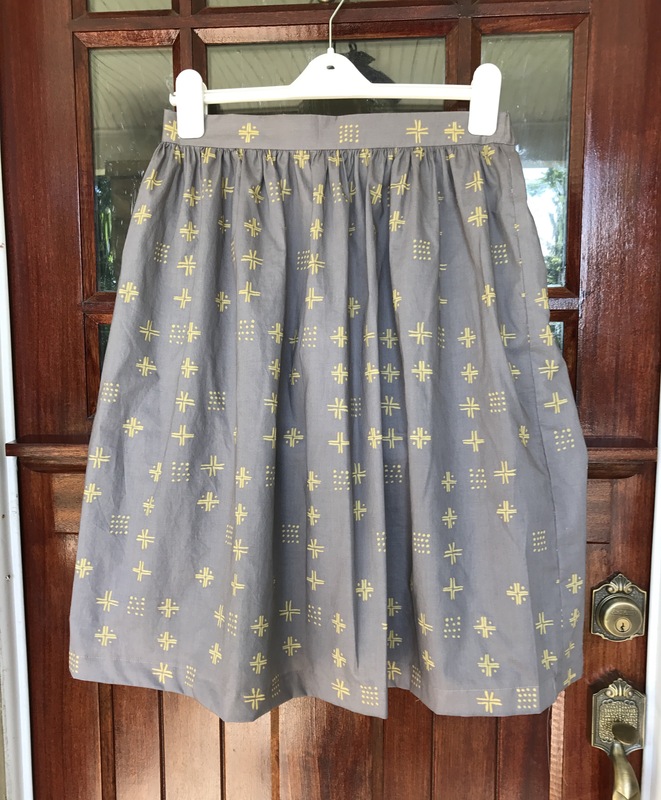 I finished a Cleo Skirt in a beautiful voile designed by Sharon Holland called Mudcloth. I can’t wait to wear this. 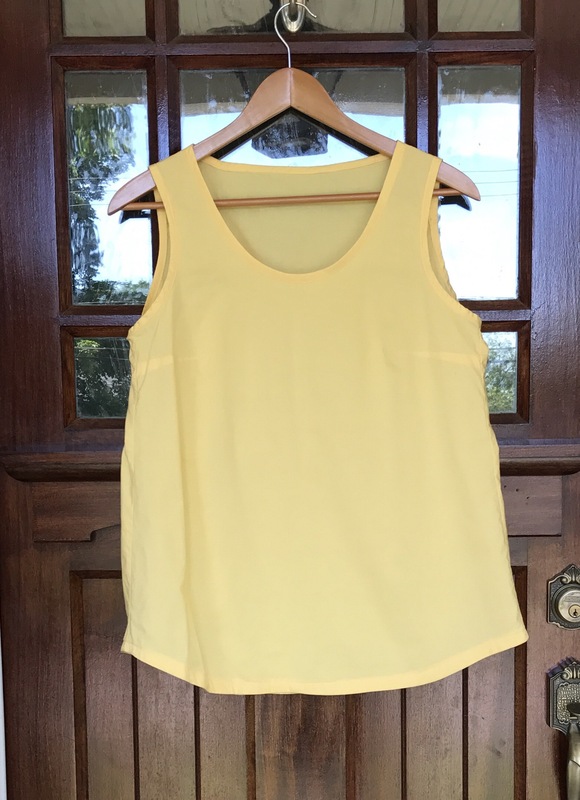 I am finishing a black lawn Gemma Tank which I think will be perfect but the yellow works too. 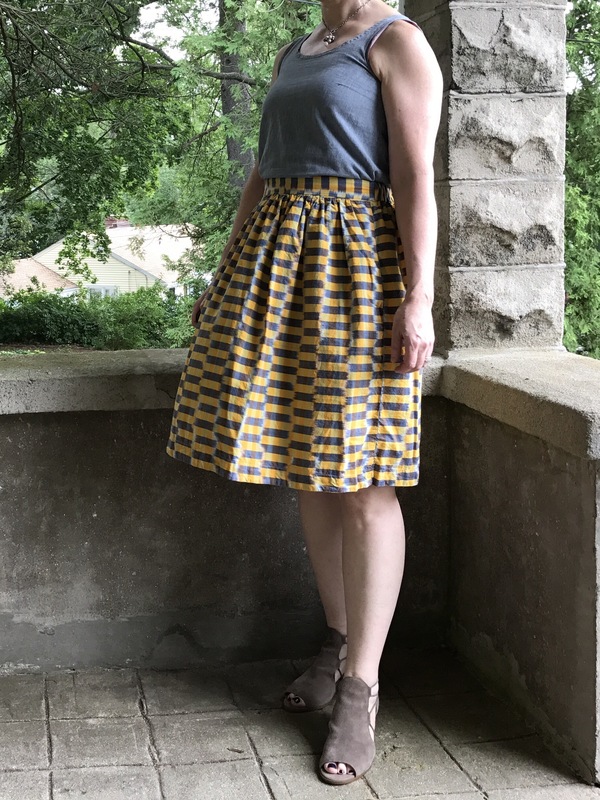 I am really happy with how versatile these tops and skirts are. 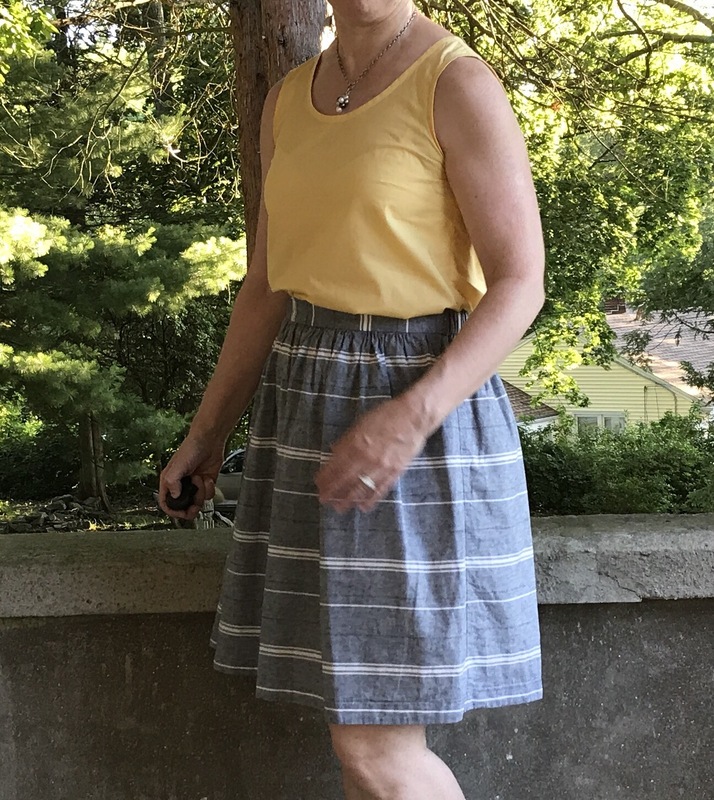 I was wearing the first Cleo skirt that I made while I hand-sewed the front waistband. I love this Loominous Fabric by Anna Maria Horner. This has turned out to be a great hot weather outfit. The tank is one of the many Gemmas that I made last year. 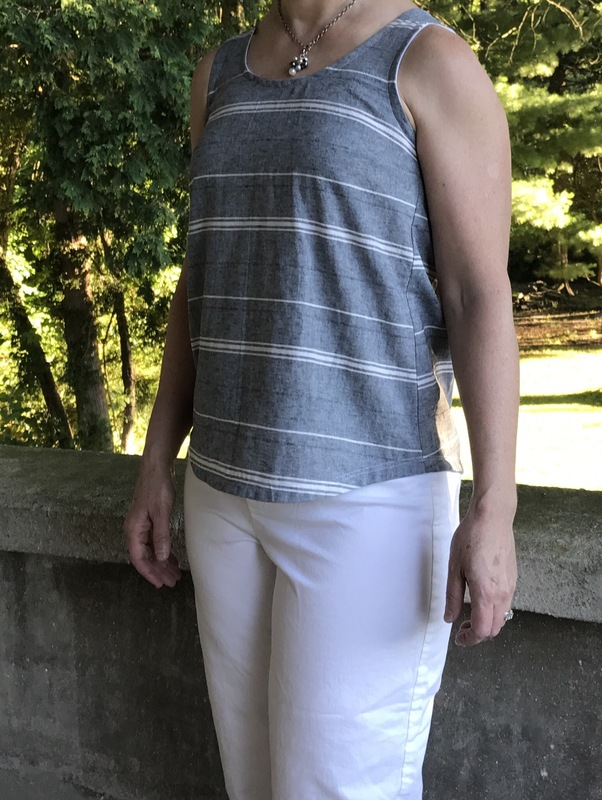 The blue and white striped tank and skirt are also great together. 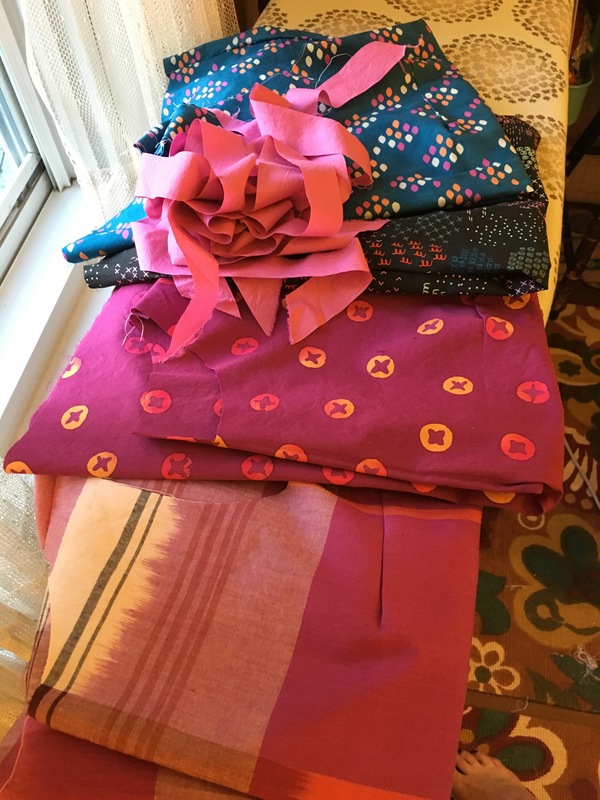 I didn’t plan them that way but when I had my pile of various projects on my ironing board I saw them together and realized that that would be another great outfit. I think I have reached the point where I have enough hand-sewn clothes to last for years to come. But fabric designers keep designing beautiful fabric so I will be continuing to sew. 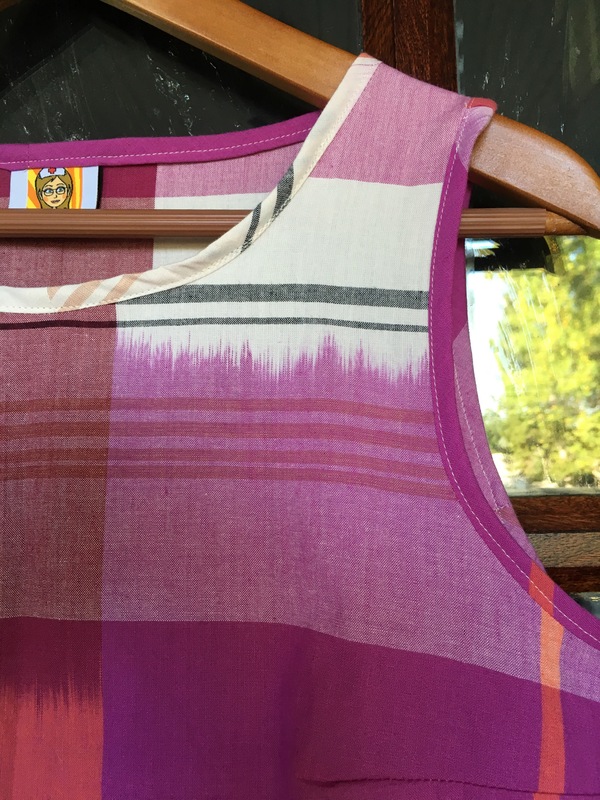 Next up is an Isla Dress using these beautiful new knits from April Rhodes. Who could resist? This fabric + this pattern = totally awesome. 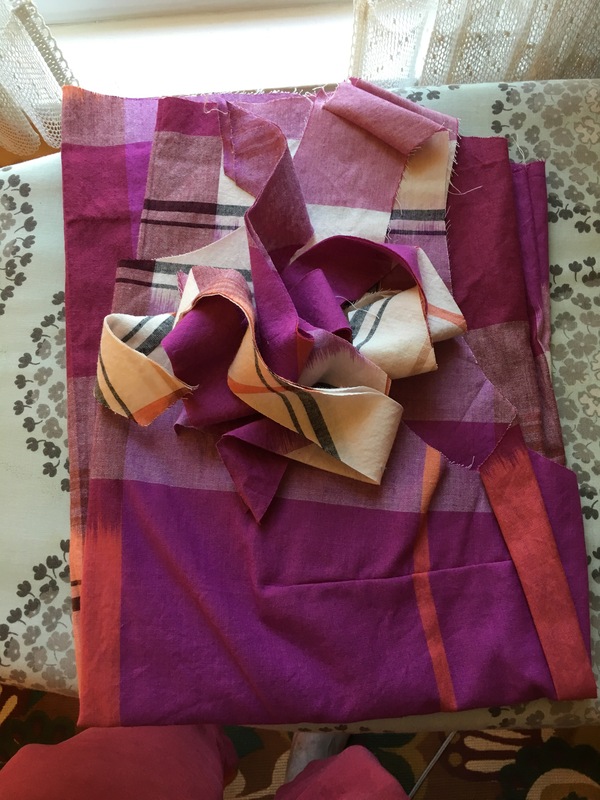 I bought this beautiful woven fabric from the Loominous line by Anna Maria Horner last year to make something for my daughter. She has always loved pink and I knew she would love it and so when the line first came out I bought a couple of yards. It is called Big Love, obviously. (insert heart shaped emoji) I originally planned to make a dress for her but when Rae came out with the Gemma pattern, I knew this fabric would be perfect. This is the higher neck version of the Gemma in a size Medium without any modifications. I had sent Sarah a couple of muslins prior to cutting into the fabric to be sure of the fit. My front door is my new favorite place for pictures. I started this project earlier in the summer (along with several other Gemmas) when I had a couple of days off from work. 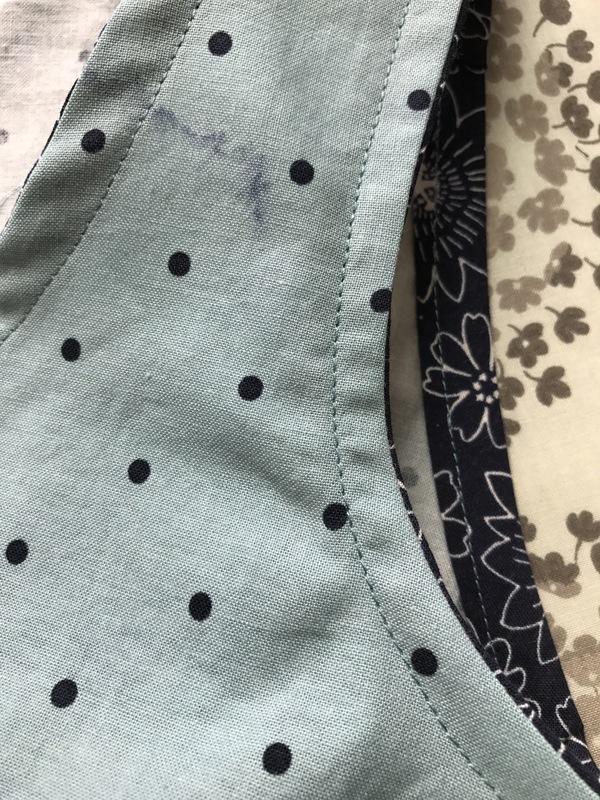 The thing about this pattern is that the initial sewing goes very quickly and then there is the bias binding which is not terrible but somewhat of a challenge for me. So now I am finishing these projects one by one and today I had time to finish this. I used the method I describe in this post. It worked relatively well although the woven fabric has a bit of give to it and I wasn’t as successful in getting an even binding as I was when I used the quilting cotton. But I wanted the contrast of the visible binding and I thought Sarah would prefer to have a bit more width in the shoulder since she is a teacher and has to wear clothes that aren’t overly revealing. 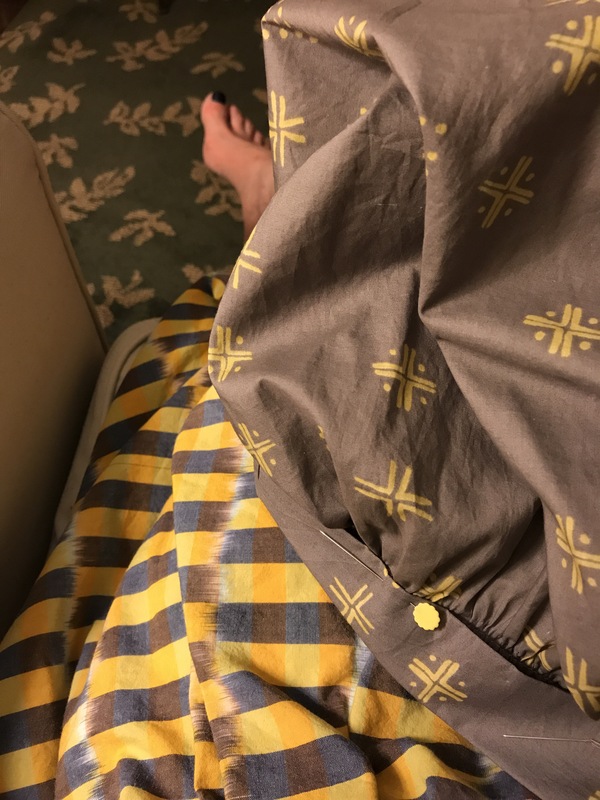 When I uploaded the photos from my phone, I did them in the reverse order that I intended so you are sort of getting a backward looking glance at the binding process, but you get the idea. Back of the finished tank on my front door below. It gets the best light for pictures. 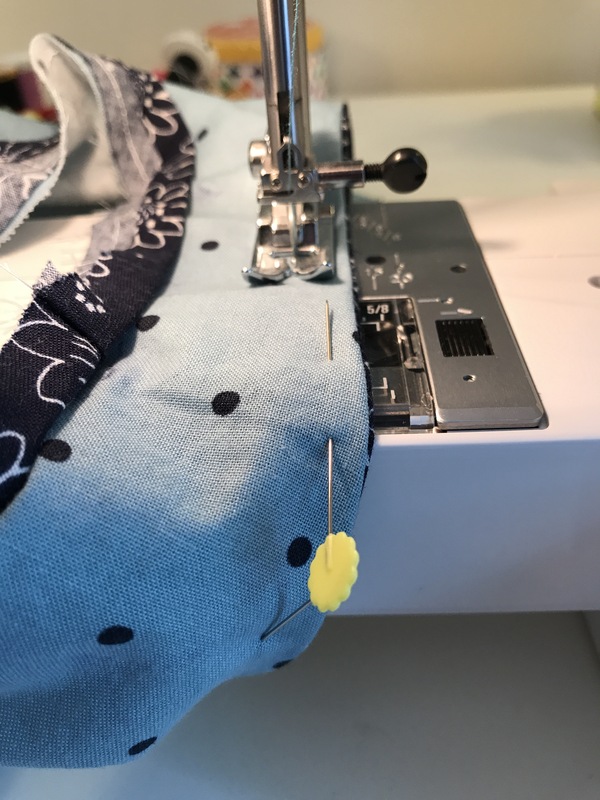 In addition to the details of the other binding method that I use explained in this post and which I used for the hem of this Gemma below, Rae has three fabulous binding tutorials that clearly illustrate several different approaches to the right way to do it here. I highly recommend them. #beforethebinding picture below. 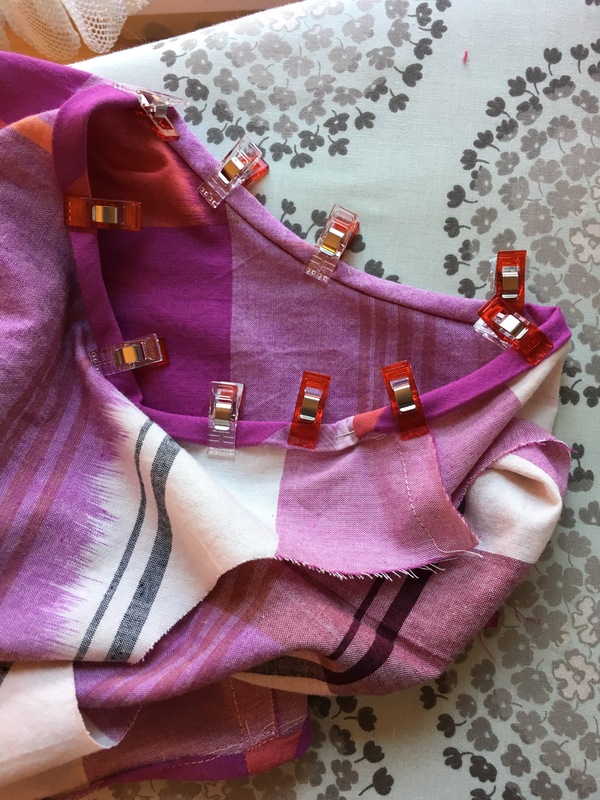 I have several other Gemmas with pink either in the main fabric or as the planned binding and will be sharing them over the next few weeks as I find time to #finishallthegemmas. So this one will be in the mail tomorrow on its way to the Midwest. Hopefully it is still warm enough for it to get wear this season. 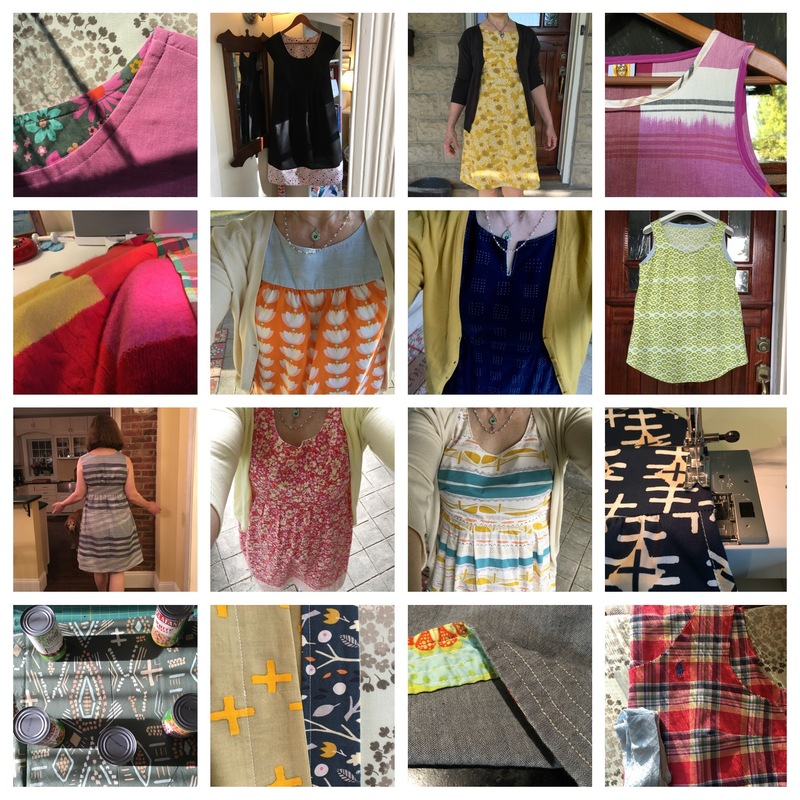 Who needs Stitchfix when you have Stitchmom? 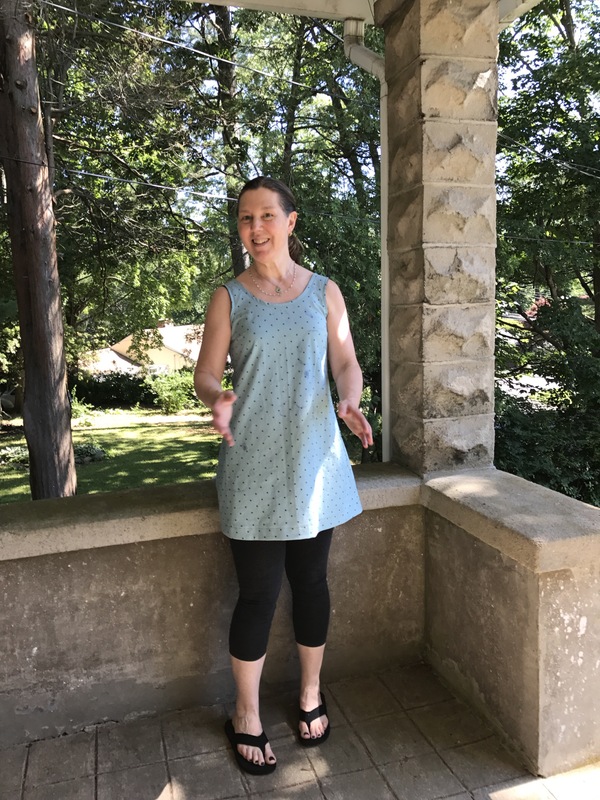 (just kidding, Stitchfix is awesome too!) 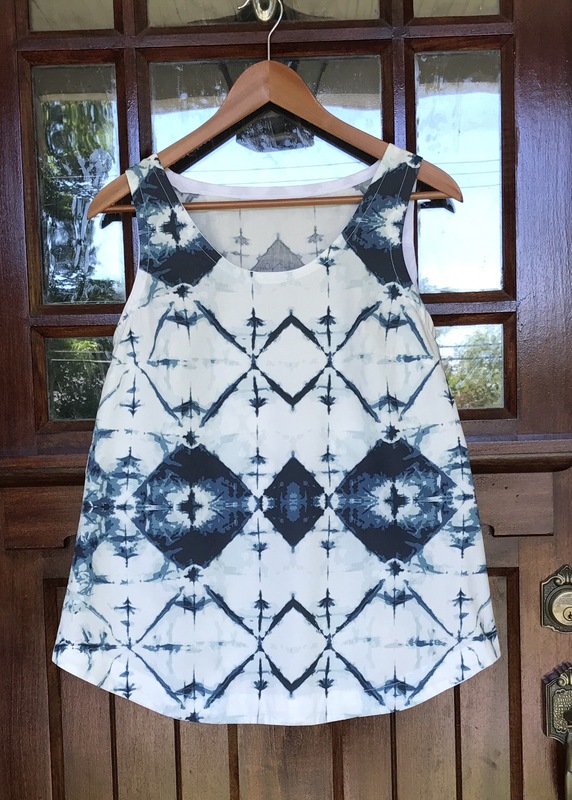 You can link to my previous posts about the Gemma Tank here, here and here.